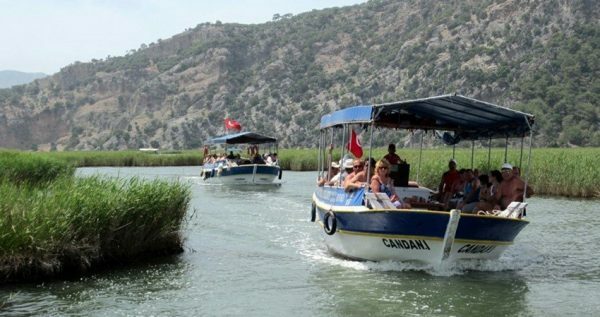 Marmaris Dalyan Tour is a wonderful experience, where you will have a boat trip from Marmaris to Dalyan. You will also visit such famous sites like Turtle Beach, Temple Tombs and Mud Baths. You will be traveling on our luxurious double-decked boat, equipped with comfy sunbeds, showers and toilets. There are chairs and tables on the lower deck terrace, as well as a delectable bar stocked with a wide array of tasty beverages and refreshing juicy drinks. 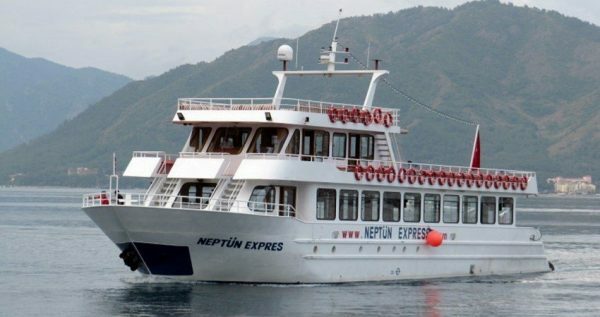 Marmaris Dalyan Tour starts with a complementary pick-up from your hotel in Marmaris at approximately 8.30 in the morning, followed by a comfy and snug drive to Marmaris Harbor. There you will board our lavish, spacious boat and we’ll set sail into the open sea. When we wil arrive to the Dalyan (Turtle Beach also known as iztuzu Beach). 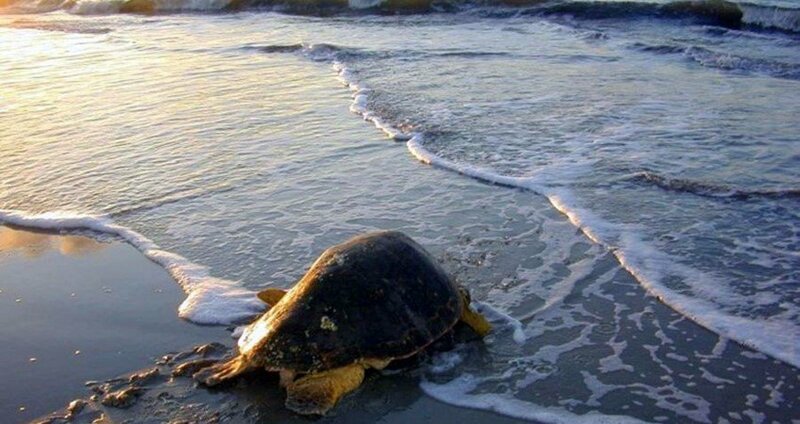 You will take a dip in the dreamy warm waters of this unique seae, you should look carefully, because if you’re lucky enough, you might see the amazing Loggerhead Turtles swimming right by your side. 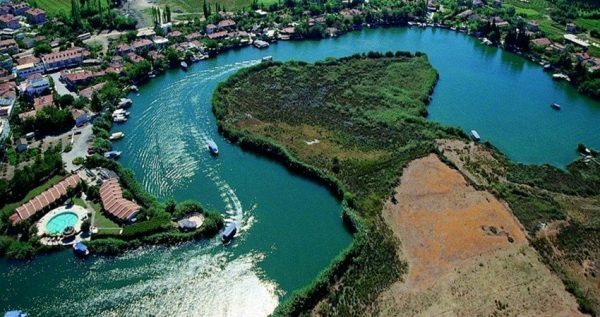 You will also be able to take a walk down the 7km long wall of sand which divides different floras and faunas of the Mediterranean Sea and Koycegiz Lake. 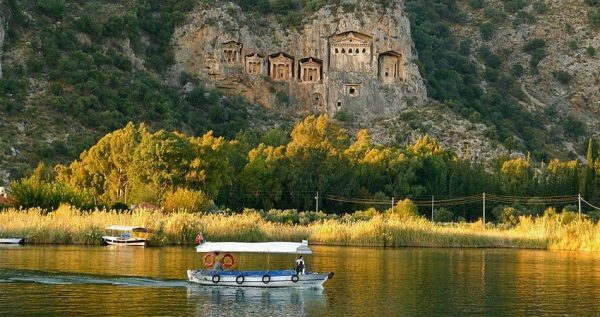 Our smaller boats will take you to see the astonishing Lucian Temple Tombs of Kaunos. 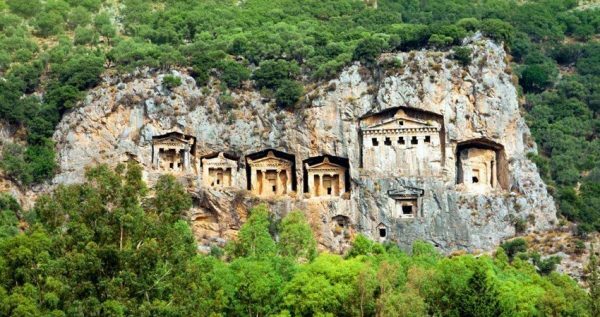 These astounding rock-cut tombs were used for some form of ancestor worship, and Lycans were famous for their unique stonemasonry. 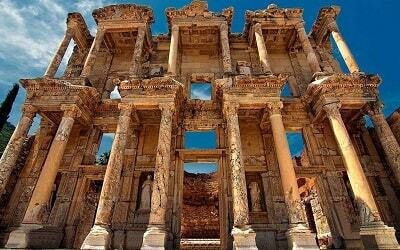 So don’t forget to bring your cameras, as this visit will be a treat for the history enthusiasts among you. Afterwards, you will get to indulge a joyful and fun mud bath in one of the thermal pools. These baths have a rejuvenating effect on the skin, so you will be having a treatment while you have fun playing in the mud. 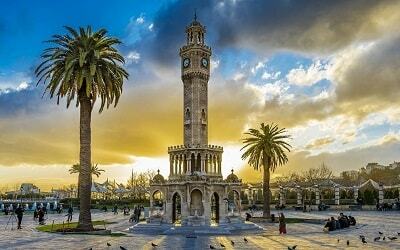 Once the tour ends, and we reach the harbor, our driver will take you back to your hotel in Marmaris. Don’t forget to bring your swimsuits, towels, hats, sun creams and cameras. Travel with us and let your next vacation be the one you’ll remember forever. 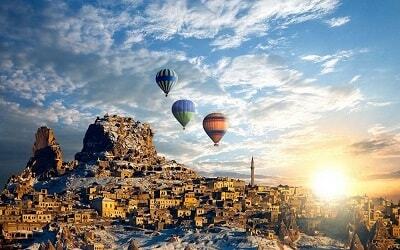 We’ve opted to present you with the best of what Turkey has to offer. Silver ornaments gets into reaction with mud and loses their color. We advise you to leave all kind of silver ornaments back to your hotel room. 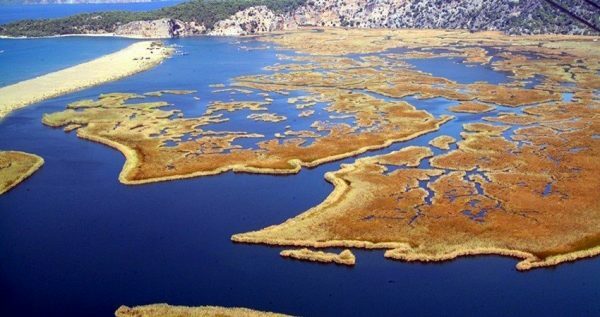 If you would like combine this tour with beautiful Koycegiz lake, take a look at Marmaris Dalyan Koycegiz Lake tour. Marmaris Dalyan Tour starts at 8.30 in the morning, when one of our drivers will take you to the Marmaris harbor. There you will board our amazing 3-storey high boat, equipped with all of the modern amenities, such as showers, toilets, sunbeds, and two delectable bars. 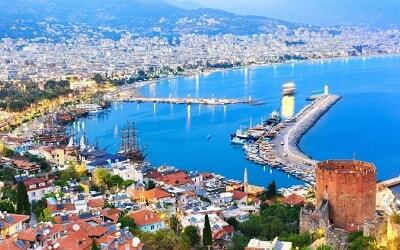 This lavish boat guarantees a fun and peaceful cruise over the Mediterranean. 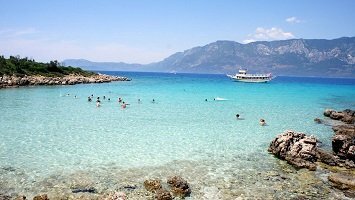 Our first swim break will be at the quiet and marvelous Kizilkum Bay, where you will get to enjoy 40 minutes of swimming in the emerald waters and sunbathing on a golden beach. 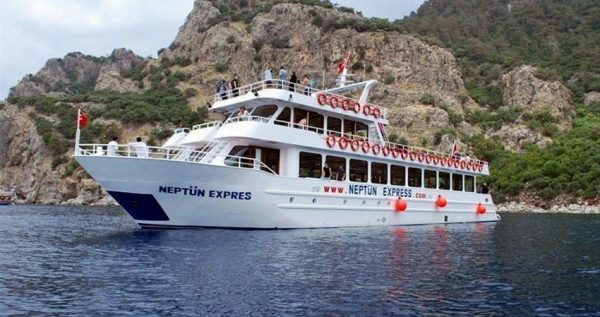 Once we arrive to Dalyan, we will have a delicious lunch on board, right before we start our visit to this terrific place. 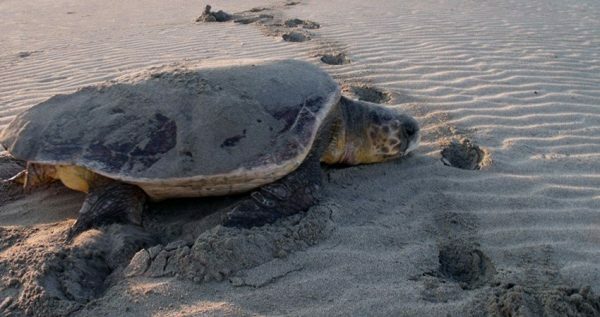 Our visit starts with the lovely and unique Turtle Beach, where you will get to swim and explore this protected beach for about 90 minutes. This great beach is famous for being the breeding grounds for the endangered Loggerhead Turtles, and for being one of the most beautiful beaches of the European coastline. Once our visit to the Turtle beach is over, we will board charming little canal boats, on which we will sail through the labyrinthian water of this captivating canal. During our sail, you can opt to buy a drink on the boat. Dalyan is also famous for the ancient Lycian rock tombs dating back to 400 BC, and we will take a picture-break here. You will get to take some incredible shots, as our English-speaking guides inform you about the history and the legends about the tombs. 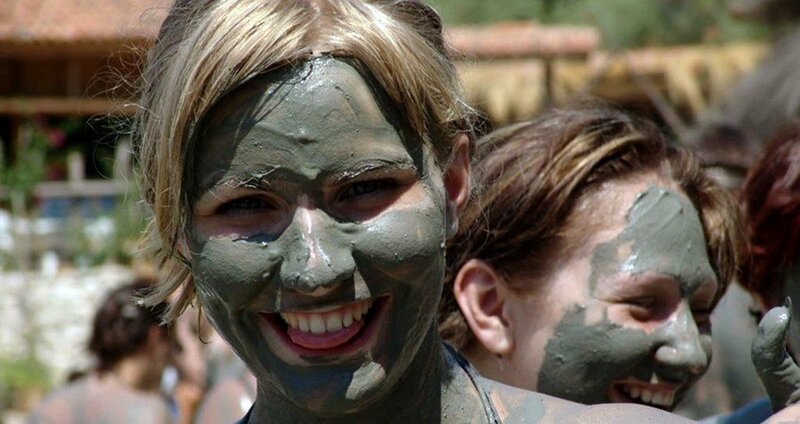 Afterwards, we will visit the amazing Dalyan mud baths, where you will get to wobble and play in some high-quality mud! Mud in these baths is famous for its rejuvenating effects on the skin. After you are done frolicking in the mud, you will get to take a shower and have some refreshments at the charming cafeteria nearby. Once we sail back in the Marmaris harbor, our driver will be waiting to pick you up and take you back to your hotel. Transfers from your hotel and back are included in the price.